Hello Friends, I had mentioned to a friend yesterday I refused to believe the weekend is upon us… and despite my denial, the weekend is upon us! I hope those of you affected by the Arctic vortex (such fancy name!) will continue to stay warm and safe. To round off this week, I am sharing with you another free downloadable pattern, Midori’s Place. Midori’s Place is another design I have done for Benartex using their Gramercy fabric collection. If you recall, I had shared with you another quilt I had designed using the same fabrics: View on Lexington. Click here to download pattern instructions for Midori’s Place. Click here to download pattern instructions for View on Lexington. 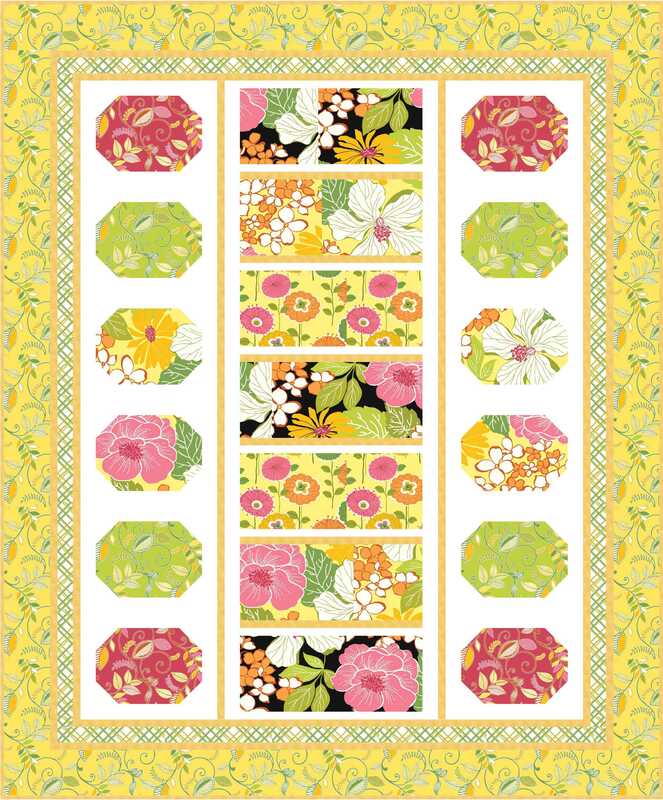 Click here to read about thoughts on Gramercy by fabric designer Kitty Yoshida. Tell me what you think of Midori’s Place and View on Lexington. 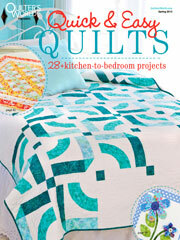 You do know I didn’t name the quilts, right?! 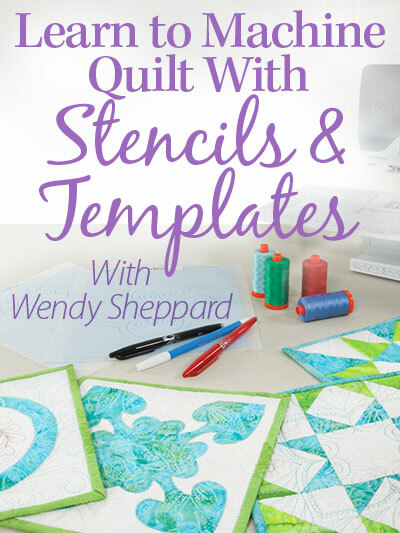 I am quite embarrassed to share with you the names I have come up with for those quilts… all I can say is that Team Benartex comes up with the coolest names for my designs, always!! I am definitely thinking spring after talking about the Gramercy fabrics! Alrightie, my friends — have a lovely weekend. I shall catch up with you next week. 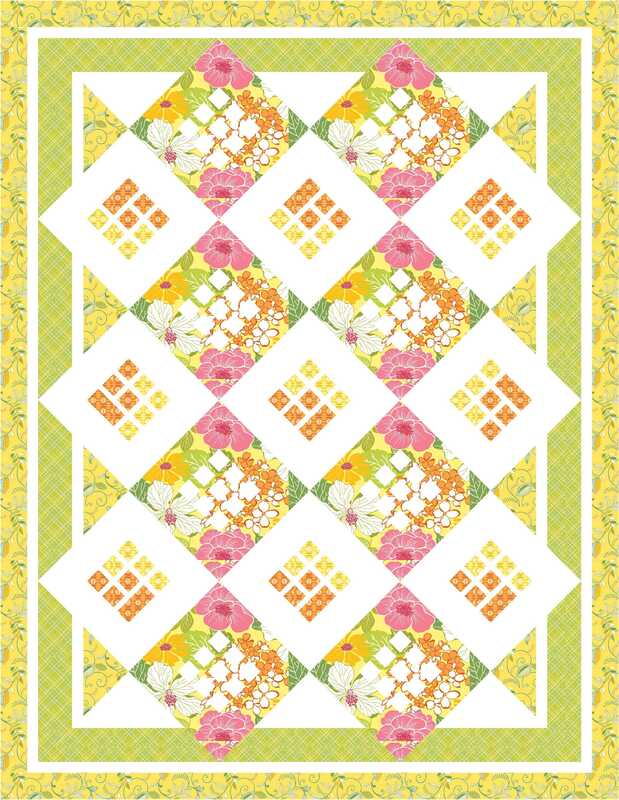 This entry was posted in Quilt Pattern, Quilting, Quilts: Pieced and tagged Benartex Gramercy, Free Quilt Pattern, Wendy Sheppard Designs. Bookmark the permalink. I find myself looking for Benartex more and more. Lovely fabrics!!! 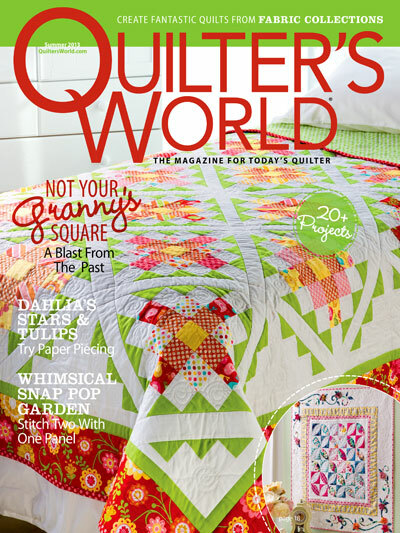 I was at my local bookstore and saw Urban Oasis in the latest edition of Quilters World. Really liked it! Yes, Polar Vortex and then more snow here. Will be doing piecing this weekend because there is no reason to leave the house in this weather. Pretty! Hope you have a cozy weekend. Your creations are just fabulous. I love Midori’s with those negative space blocks. 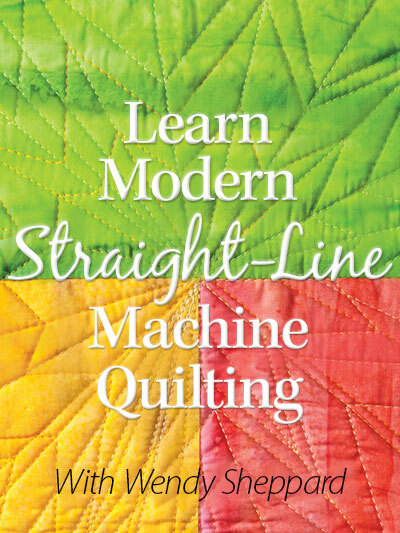 It must be wonderful to NOT have to name the quilts. 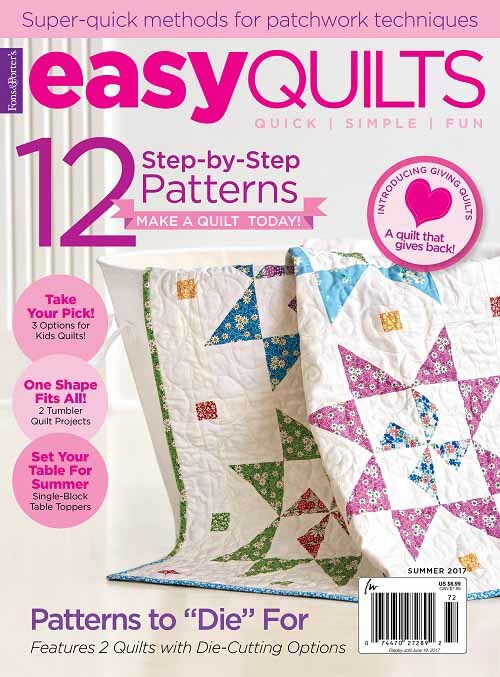 Those quilts just make me happy, happy, happy, Wendy! I love how the blocks seem to float over the inner borders! 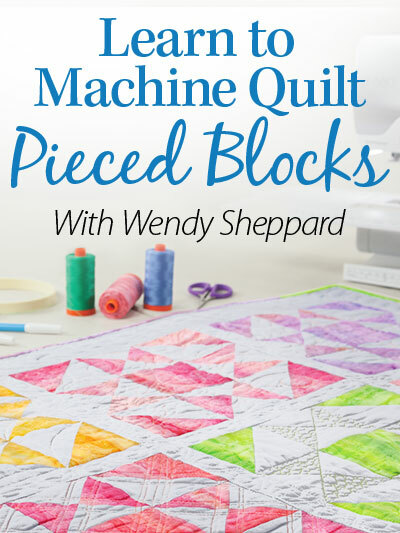 And on-point blocks are one of my favorites…IMHO an on-point block layout just takes a quilt to another level! A very happy quilt!! I’m spending my day packing up for a four day retreat!! Finally time to start on my Dowager Countess quilt!! The Gramercy fabric I am looking for has a white background and has red, yellow and orange flowers (possibly poppies). Do you know if this is an older print in this line. I have not been able to find it.